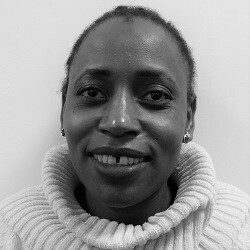 Nelly Jinga joined HE2RO in March 2016 as a Research Associate. She holds a Master’s degree in Demography from University of Cape Town and a BSc (Hons) degree in Applied Mathematics. She has experience working as a Research Assistant in HIV and Oncology clinical trials. She is currently involved in research on Barriers and facilitators of early initiation of antenatal care among HIV positive women. She is also involved in the research on Assessing HIV Testing and Linkages to Care in Primary Health Care Clinics in South Africa.